I remember a couple of months ago, I was watching television with a few members of my family and saw a horrifying video of a woman who injected cooking oil into her face! We watched in disbelief as the news story unfolded about this beautiful Korean singer who made a terrible choice in an attempt to keep herself looking younger. Where this woman got the idea to use cooking oil as a beautifying agent, we’ll never know. But I’d certainly like to take this opportunity to very strongly suggest to anyone who is interested in preserving their youthful look to NOT take matters into your hands. 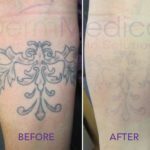 There are a number of treatments out there, handled by experienced professionals that will help you get the results you are looking for Selphyl for example. Selphyl is safe, and being natural it is definitely the way to go rather than injecting toxic substances into your body. Why not use your own body to help repair and rejuvenate itself. It just makes sense. There is a great video that can be found on YouTube from a talk show that explains this incredible procedure, which is geared towards correcting the effects of aging skin. This is a treatment performed by Dermatologists that uses natural elements to smooth out those unwanted wrinkles. 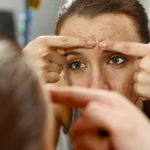 As plastic surgeon, Dr. Andrew Ordon explains in the video, this “wrinkle buster” draws the patient’s own blood and injects it into face wrinkles. Because SELPHYL is safe and utilizes the body’s natural elements, it induces a stimulation of cells that promotes skin rejuvenation. It’s a very unique system that is safe! Dr. Ordon explains that the procedure separates the blood’s solid components, known as “the platelets” and “fibrin” from the other components. These two components are used in the injection. This technology is known as Platelet Rich Fibrin Matrix or PRFM. What I find most reassuring about this type of treatment is that it makes use of your body’s natural components. Nothing synthetic is being used here. So SELPHYL essentially allows your body to build its own new collagen. The procedure fosters a rejuvenation of skin cells that helps to increase its volume, and therefore allows it to exhibit a younger, smoother look. The talk show clip on YouTube also provides a number examples of how patients have benefited from the fact that SELPHYL is safe. Its amazing results are very encouraging for those who wish to eliminate wrinkles, but may also be concerned about the possible side effects of synthetic injections. Not only does this treatment avoid the use of synthetic materials, but it also provides long lasting effects. 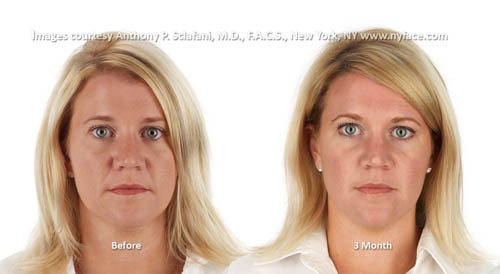 In some cases, results are apparent after just one treatment. If you’re looking to do away with laugh lines or any other wrinkles, I strongly urge you to look into SELPHYL as a safe and natural way to reverse the aging process.